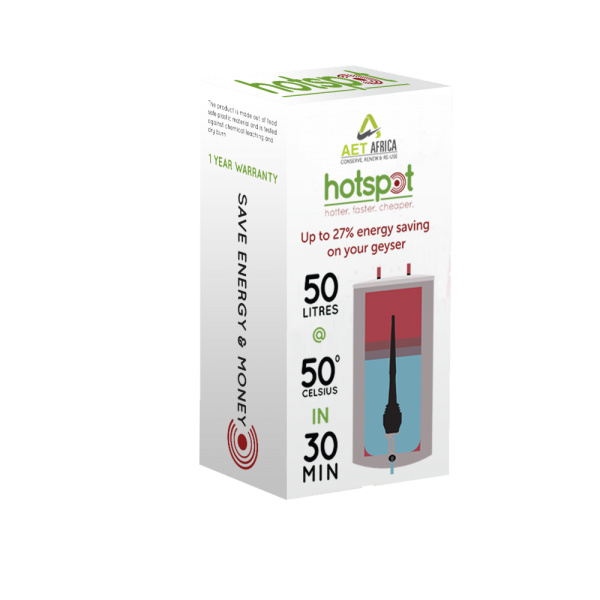 HOT SPOT IS A PRODUCT THAT CAN BE RETROFITTED ON ANY CONVENTIONAL GEYSER ENSURING REDUCED ENERGY CONSUMPTION, GUARANTEEING FASTER HOT WATER. 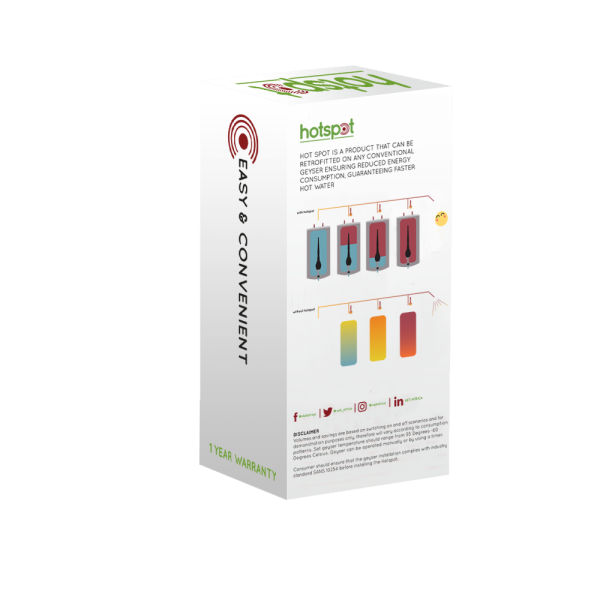 Volumes and savings are based on switching on and off scenarios and for demonstration purposes only, therefore will vary according to consumption patterns. Set geyser temperature should range from 55 Degrees -60 Degrees Celsius. 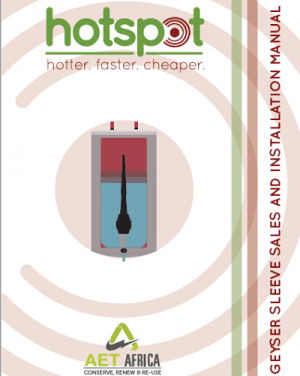 Geyser can be operated manually or by using a timer. Consumer should ensure that the geyser installation complies with industry standard SANS 10254 before installing the Hotspot. The product is made out of food safe plastic material and is tested against chemical leaching and dry burn.